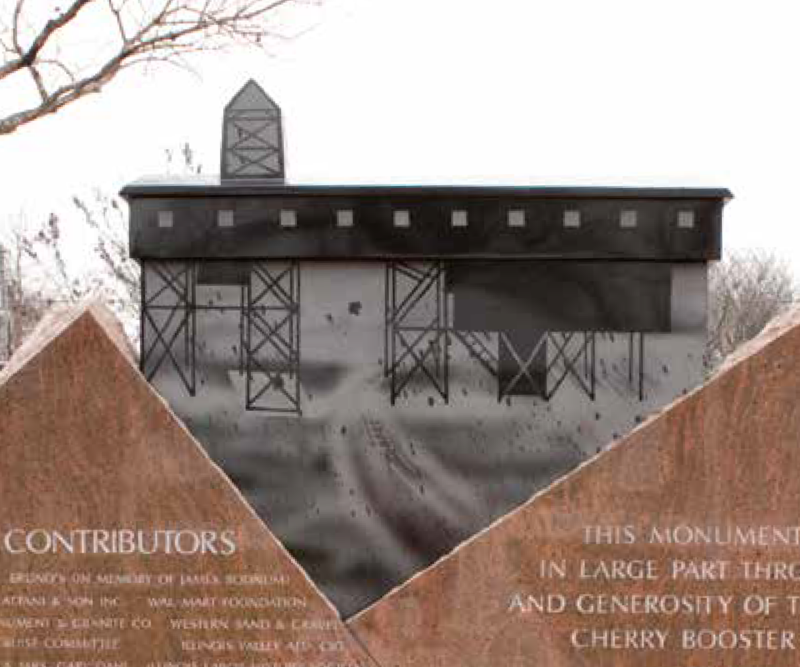 Marking the 100th anniversary of the 1909 Coal Mining Disaster, this unique memorial utilizes Black Supreme and Multi-Color Red Materials. The Black Supreme creates a wonderful canvas for the detailed laser etching depicting the equipment of the day from over a century ago. The wild movement in the graining of the Multi-Color Red intensifies the emotions of men fleeing the fire underground of which, alas, 259 perished.